소니인터랙티브엔터테인먼트코리아(이하 SIEK, 대표: 안도 테츠야)는 PlayStation®4(이하 PS4™)용 소프트웨어 ‘MLB® The Show™ 19’을 2019년 3월 26일(화)에 발매한다. 스탠다드 에디션(디스크 및 다운로드 버전) 64,800원, MVP Edition(디스크 및 다운로드 버전) 75,800원, Digital Deluxe Edition(다운로드 버전) 105,800원에 각각 발매된다. The Show가 돌아왔다! 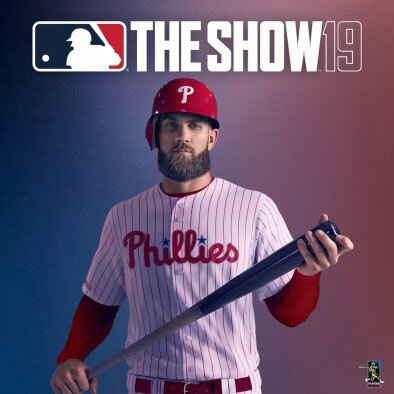 ‘MLB® The Show™ 19’는 최고의 야구를 선보인다. 새로운 게임 모드, 확장된 팀 빌딩과 유저 커스터마이즈, 개인화된 광대한 RPG 경험을 통해 미국 대표 오락을 즐겨보자. 자기만의 플레이어를 만들고 야구계 최고의 스타와 레전드가 되어 MLB 랭크에 올라가거나, 다른 선수들과 겨루어보자. 치열한 온라인 경쟁, 신나는 RPG 액션, 속전속결의 빠른 게임 진행, 이 모든 것을 ‘MLB® The Show™ 19’에서 경험할 수 있다. © Sony Interactive Entertainment LLC. MLB and MiLB trademarks and copyrights are used with permission of Major League Baseball. Visit MLB.com and MiLB.com. The Baseball Hall of Fame and Museum trademarks and copyrights are used with permission of the National Baseball Hall of Fame and Museum, Inc., as applicable. Visit the official website of the Hall of Fame at BaseballHall.org. Officially Licensed Product of Major League Baseball Players Association-MLBPA trademarks and copyrighted works, including the MLBPA logo, and other intellectual property rights are owned and/or held by MLBPA and may not be used without MLBPA’s written consent. Visit www.MLBPLAYERS.com, the Players Choice on the web. Official Licensee-Major League Baseball Alumni Marketing, Inc. © MLAM. All trademarks are the property of their respective owners. Appearance in this game does not imply sponsorship or endorsement.